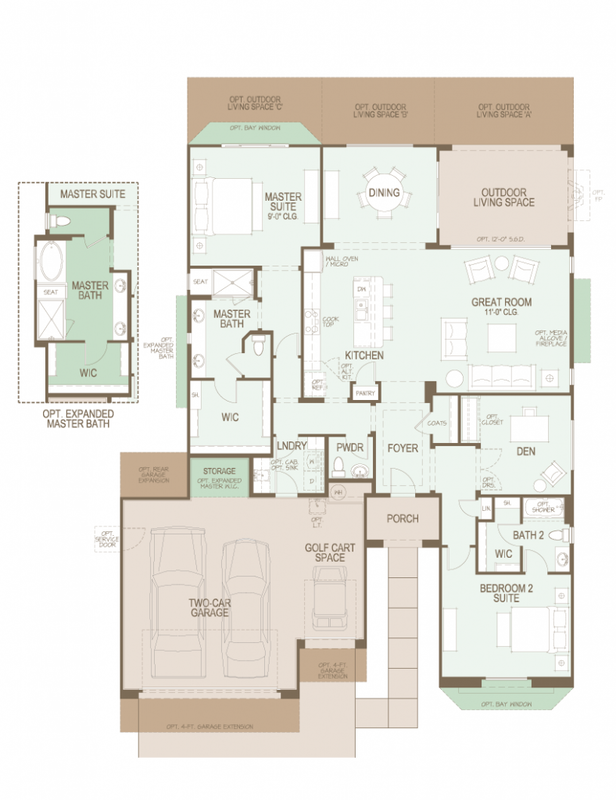 The SaddleBrooke Ranch Cortez Floor Plan is one of 10 available floor plans at SaddleBrooke Ranch. The Cortez Floor Plan is in the Premiere Series of Homes at SaddleBrooke Ranch that has a great room plan with 2,051 Sq. Ft.
For the couple that wants a retirement home or winter retreat with a casita, the SaddleBrooke Ranch Cortez Floor Plan may be for you. At this time, SaddleBrooke Ranch residents have full access to the amenities and facilities at nearby SaddleBrooke.